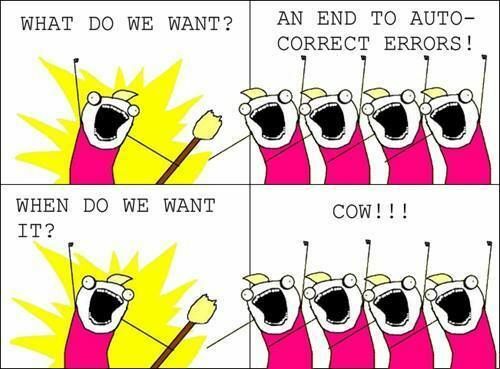 Update — apparently this is a meme derived from Allie Brosh's art, but not created by her. See the comment below. but she certainly never composed that particular method. In fact she only drew the single person side with the yellow background; all the rest, including the text, is manipulation by meme lovers. A 2-panel comic from Brosh's Hyperbole and a Half collection became the basis for a whole series of "X all the things!" captions. This is just a kind of a remix of the first panel. The original X is "Clean", which is why the figure holds a broom.